This is a stowaway top. Fits model with roll up windows and detachable metal bar. Front attaches with the metal bar - must reuse your original bar. 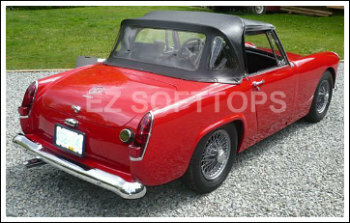 This top fits the 1965 MG Midget convertible and 1966 MG Midget convertible.